oreign Minister Mevlut Cavusoglu and U.S. Secretary of State Mike Pompeo spoke over the phone following the release of U.S. pastor Andrew Brunson, a Turkish diplomatic source said Friday. A Turkish court sentenced the pastor to three years and 45 days in prison on Friday, but he will not serve the time in jail. The court credited his time spent in detention, and ended his house arrest and travel ban. 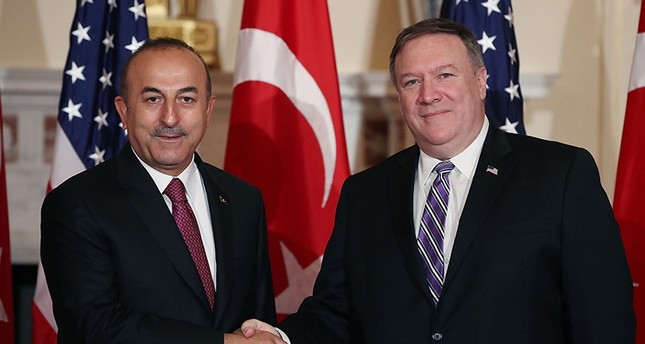 Cavusoglu ​and Pompeo made the phone call after the release of the U.S. pastor, said the source, who spoke on condition of anonymity due to restrictions on talking to the media. No further details of the phone call were given. The pastor was arrested on Dec. 9, 2016, on charges of being member of Gülenist Terror Group (FETÖ). On July 25, citing Brunson's health problems, an Izmir court ordered him moved from jail to house arrest. Brunson's charges include spying for the PKK -- listed as a terrorist group by both the U.S. and Turkey -- and FETÖ, the group behind the July 2016 defeated coup attempt in Turkey. If you have a story you think we might be interested to know about please email our news team at azvisione[email protected] or phone +994 125975052 and ask to be put through to AzVision.